Tonight I created a new list of all beacons, I have been able to receive here in Mainz (JN49CV) on 23 cm and 13 cm since becoming QRV again in 2011. This entry was posted in Beacons and tagged 1296 MHz, 23 cm, 2320 MHz, Aircraft scatter, beacons, DB0LTG, DJ5AR, DX, EME, GHz, linear transponder, Mainz, Microwaves, moonbounce, SHF, Tropo on 2013-10-09 by admin. Just a few contacts could be logged, because I was short in time during this opening. But some new squares were worked on 23 and 13 cm. SM7ECM in JO65nq was a new country on 13 cm. This entry was posted in Tropo and tagged 1296 MHz, 13 cm, 23 cm, 2320 MHz, Amateurfunk, DJ5AR, DX, Funkamateur, GHz, Inversion, SHF, Tropo on 2012-11-18 by admin. The beacon check in the morning of October 19th gave me the impression of a strong inversion over southeast Germany. 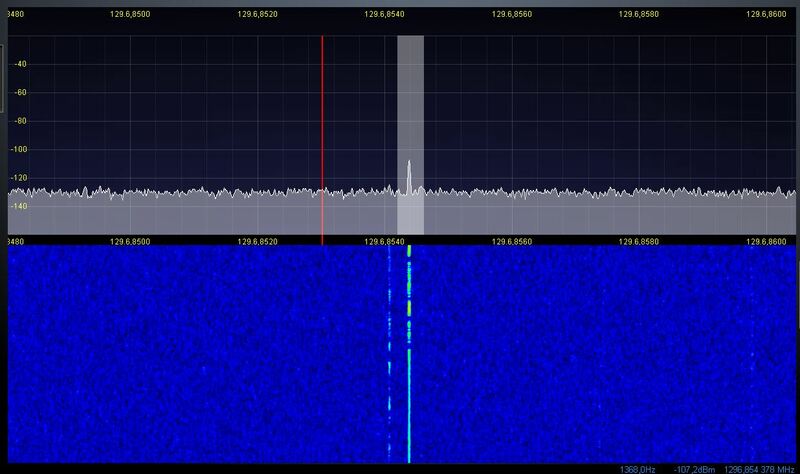 When looking for Stations on 23 cm on the SDR I noticed a big signal in CW: OE5VRL/5 calling to Hungary. I gave him a meep in the chat to tell him how strong his signal was here in Mainz, despite the fact that I was in the back of his 3 m dish. After turning the antenna to me he was stronger than many locals. In the following days a lot of DX stations from OK, SP, HA, S5, OE, HB9, F, LX, G, PA, I and OZ filled the log while the inversion moved from east to west. 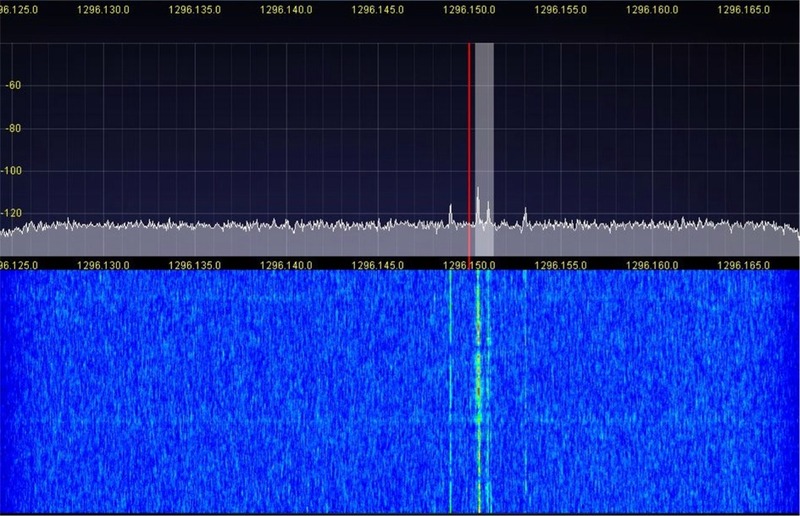 All of the four OK beacons could be heard on 23 cm. Sometimes it was a little bit confusing when I was looking for new DX beacons and DB0AAT, DB0AJA, DB0GP, DB0LB, DB0FGB, DF0ANN, HB9EME and others could be heard in nearly any direction the dish was pointing to. QSOs on 13 cm > 400 kmI am happy with a couple of new squares on 23 and 13 cm. Two new countries on 13 cm made it perfect: S51ZO in Slovenia and I1KFH in Italy. But I fear that it was more aircraft scatter than tropo. This entry was posted in Beacons, Tropo and tagged 1296 MHz, 13 cm, 23 cm, 2320 MHz, beacons, DJ5AR, DX, GHz, Inversion, Mainz, SHF, Tropo on 2012-10-24 by admin. I have assembled the 3 m mesh dish (f/d=0.45) I obtained from RF HAMDESIGN within one day. After another hard days work the new dish and a Spid BIG-RAS/HR rotor are mounted and ready for use now. Thanks to Niklas, Armin and Charlotte. First tests on 23 cm will be performed soon. 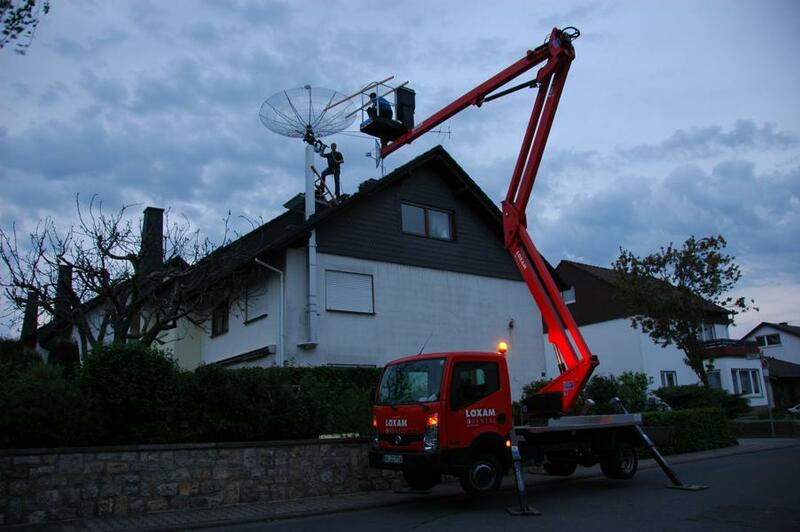 This entry was posted in Equipment and tagged Amateurfunk, dish, Funkamateur, GHz, Mainz, Parabolspiegel, SHF, UHF, VHF on 2012-04-30 by admin.